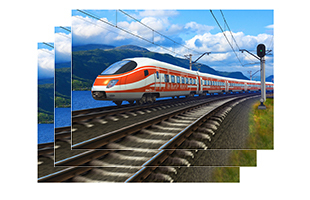 HDR stands for High Dynamic Range, and allows a wider range of brightness (dynamic range), from darkest to brightest, to be displayed compared to existing SDR (Standard Dynamic Range). As shown in the images below, when content is displayed in SDR, shadows tend to have crushed blacks and bright areas tend to have washed out whites, while HDR allows for a more natural and realistic display, without sacrificing the tones in the bright or dark areas. 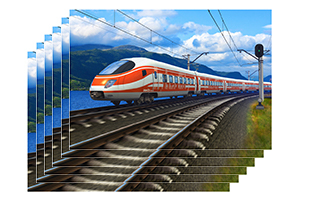 HDR has drawn attention as a next-generation high-quality imaging technology, and content produced in HDR is now available through video streaming services like Netflix and on UHD Blu-ray discs. These five elements affect the quality of an image. 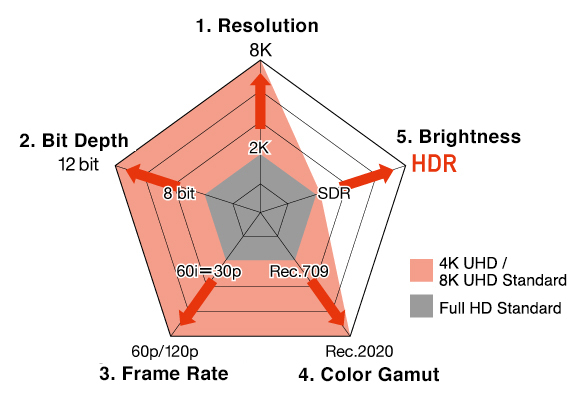 Of these, resolution, bit depth, frame rate, and color gamut have already been standardized under the 4K/8K UHD broadcast standard BT.2020. * Only brightness, which remains standardized at the same 100 cd/m² set for the full HD broadcast standard BT.709, has not seen its standards raised. Because of this, production work to date has required compression of high-brightness portions of images to match the characteristics of the display device, resulting in an image that differs from the original scene. 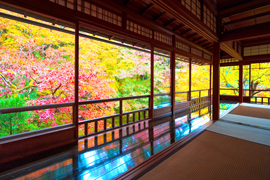 However, in recent years, improvements in display technologies have led to an expansion in dynamic range that can be displayed, enabling brightness and color rendition that are truly like that seen in the real world. This is why so much attention is focused on HDR of late. *A 4K/8K ultra-high-definition TV broadcast standard planned for implementation from the end of 2018. The current full HD standard is known as BT.709. 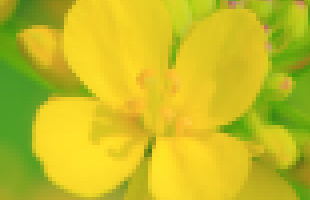 Resolution refers to the number of pixels in an image. At a given screen size, the higher the resolution is, the more pixels there are, allowing for finer detail to be displayed. 4K UHD resolution is 3840 x 2160, meaning that four times the amount of image data is shown compared to standard full HD. 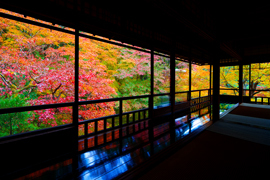 Bit depth refers to the number of colors each pixel can display. The greater the bit depth, the more colors can be displayed, for smoother and more natural gradations. For example, an 8-bit display can show roughly 16.77 million different colors, while a 10-bit display can show roughly 1.07 billion colors. 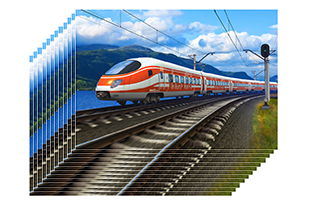 Frame rate refers to the number of images shown in a single second. Films are generally shot at 24p (24 images, or frames, per second), while standard TVs generally run at 60i or 30p (30 frames per second). The BT.2020 standard for 8K broadcasts includes definitions for frame rates of up to 120p, for movement that is virtually as smooth as the real world. Color gamut refers to the range of all colors that can be displayed. The chart to the right shows the range of all RGB values that can be perceived by the human eye. The triangles show color gamuts: the larger the triangle, the greater a number of colors can be displayed. 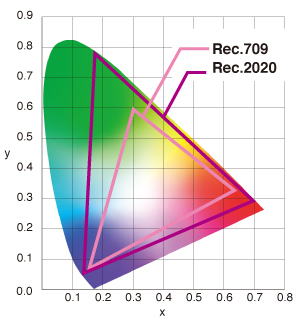 The 4K/8K broadcast standard BT.2020 (Rec.2020) covers a much wider color gamut than the existing full HD broadcast standard BT.709 (Rec.709). Brightness refers to the range of the intensity of the image lighting that can be displayed. The difference in scale between the darkest and the brightest objects the human eye can perceive (dynamic range) is commonly said to be 1012, yet display devices have traditionally only been able to display a range of up to 103. 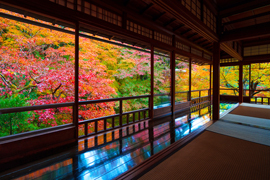 HDR expands this dynamic range to 105 — a hundredfold increase over display devices to date — allowing for light and shadow to be represented in a manner much closer to what the human eye can perceive.